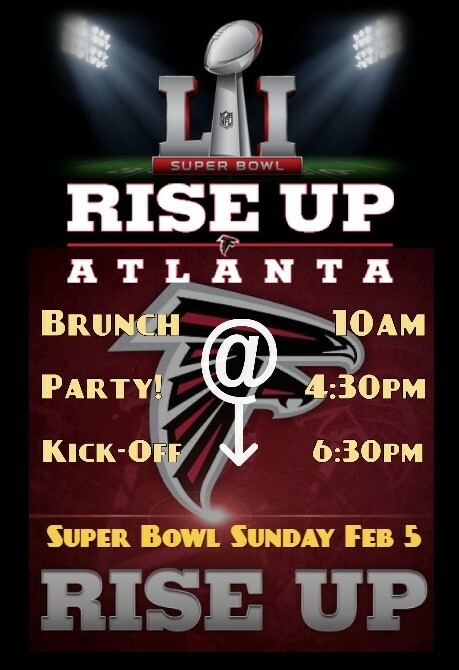 The Falcons are going to the Super Bowl and The Warren has everything you need to Rise Up! Come by beginning at 10 am for our fabulous brunch (and $10 Bottomless Mimosas), then stick around for some game day fun! The Party starts at 4:30 and we aren’t stopping til the Falcons send the Patriots all the way back to New England. Chef William has put together some game day favorites that are sure to please even the pickiest eater, and we’ve got everything you need for the perfect game day experience! Come one, come all. We’re going to the Super Bowl!